Is your diet not cutting it anymore? Have you reached a plateau in your workouts where you feel like you’re not really achieving anything? Ladies, these problems are a lot more common than you think. While dieting can help you achieve weight loss for the first few weeks or so, your metabolism eventually slows down to match your low caloric intake. This means that your body tends to burn off calories more slowly so your weight loss eventually decrescendos, too. Even your workouts are not proving to be as helpful as they initially did. You might even be convinced at this point that this is all there is to it. Achieving your fitness goals and target weight (hopefully, it is a healthy target!) takes a lot more than just regular dieting and a bit of exercise. You can achieve the target weight and you can crush those fitness goals. You just need a little more help. Luckily, science has found a way to boost your performance and help with your weight loss efforts with a substance known as creatine. Before you go on thinking that this is likely another gimmick, I’ll nip that thought in the bud as creatine is a naturally occurring substance in your muscles. It works by providing an extra phosphate molecule to form ATP, the energy currency of your body. This means you can amp up those workouts and build more lean muscle, which leads to greater strength and less weight. The market is already inundated with creatine supplements and some of them are bogus. This article gives you the best creatine supplements for women so you don’t fall into their traps! Naked Creatine from Naked Nutrition Inc.
One of the key detrimental characteristics of creatine powders is their solubility. Nobody likes to drink that yucky, gritty thing day in and day out. You might try it for a few days but eventually, it would make you want to quit. Or get your creatine fix in capsules, instead. 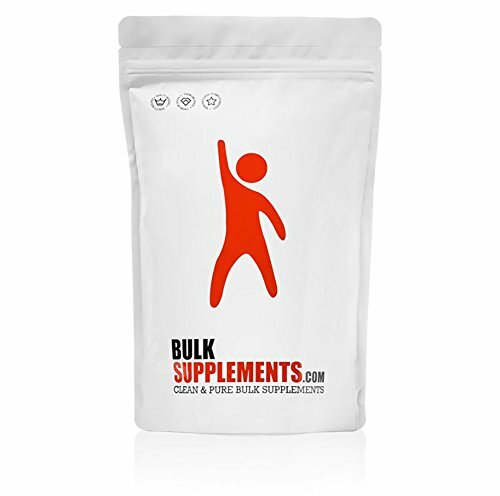 For those who want to do away with the feeling of drinking a mixture of water and soil, Bulk Supplements offers creatine monohydrate micronized powder. It’s the same creatine monohydrate that boosts performance and lean muscle but it is micronized, meaning that the preparation is a standardized fine powder that dissolves like a dream and is digested easily. No more icky creatine drink that makes you want to throw up. Bulk Supplements has also built up a good reputation for their single-ingredient supplements. Their creatine powder has been tested in laboratories to ensure the purity of the substance. This means that you get purely 2.5 grams of creatine monohydrate per serving, sans other amino acids, stimulants or other additives. The powder is so fine you can mix it with any drink and it won’t interfere with the flavor or texture! 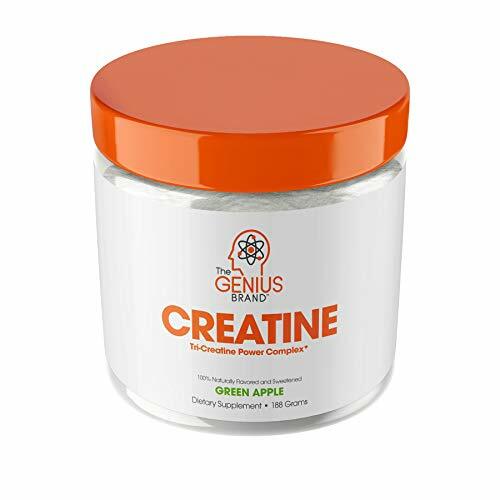 If you have been hanging around forums looking for the “best creatine supplement”, you might have heard Genius Creatine Powder come up a couple of times. While most creatine supplements boast of being purely made of creatine monohydrate, the most popular and studied form of creatine, the guys over at Genius included three types of creatine in this supplement. It still delivers 3 grams of creatine monohydrate per serving but has two types of creatine to maximize the effect. This creatine supplement is designed to give you the benefits of creatine supplementation like boosting performance, increase muscle strength, and improve post-workout recovery rates while minimizing your least favorite effect of taking creatine supplements-bloating and water retention. ​AMRAP actually stands for “as many reps as possible”, in case you’re wondering. Founded in 2012, the philosophy behind the company is that people can use short-term performance to build long-term health. This creatine powder was manufactured using rigorous procedures in Germany to ensure its quality and purity. You can be sure to get precisely 5 grams of creatine monohydrate with every scoop. Still not sure they are being totally strict with their quality control? This product has been tested by a third party laboratory to meet the approval of coaches and athletes worldwide, especially regarding their concern about banned substances. You can check out the results of the studies on their website. 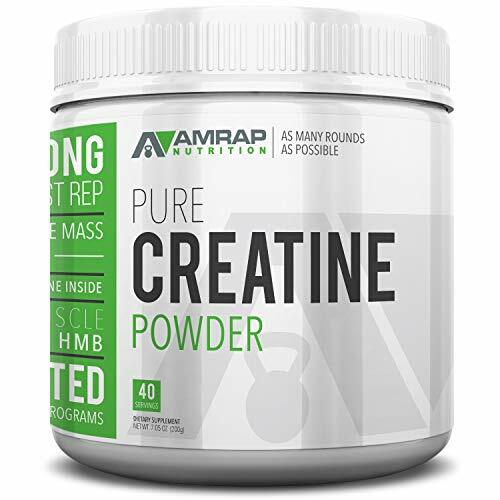 Unlike most creatine powders, AMRAP Nutrition also boasts that this product is Good Manufacturing Practice Certified, further attesting to its quality. Not only that, it has also received the approval of the US Food and Drug Administration. This is a no-nonsense creatine supplement that aims to deliver 5 grams of creatine in a single serving. Simply mix a scoop of creatine powder to 8 oz. of water and you’re all set to go. MuscleTech uses a hundred percent pure creatine powder that underwent HPLC testing to determine the purity of the substance. No other additives. No fancy flavors. Just pure creatine powder to give you that extra phosphate molecule to boost your workouts, build more lean muscle and improve performance and endurance. 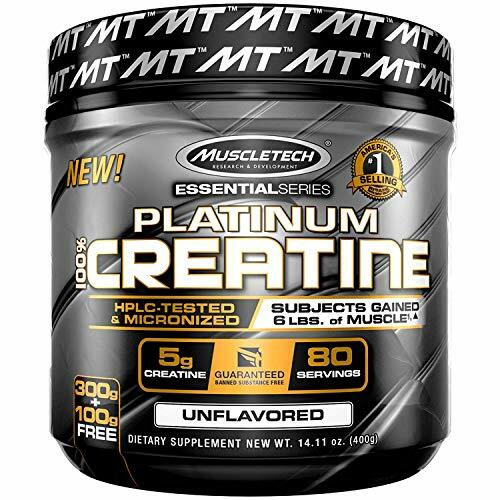 Of course, since this is purely creatine monohydrate, it might not taste as good as other creatine drinks that have other flavors added in to improve the taste. Take a trip down an aisle of supplements and you’ll notice that most of them are enhanced with other additives or flavors to make them seem a lot better than they actually are. If you’re like me and reserve some distrust for the fancy gimmicks, it can be a pain researching every single ingredient just to make sure of the entire product. Those guys at Naked Nutrition truly get this dilemma and does away with artificial flavors and coloring as well as other additives. 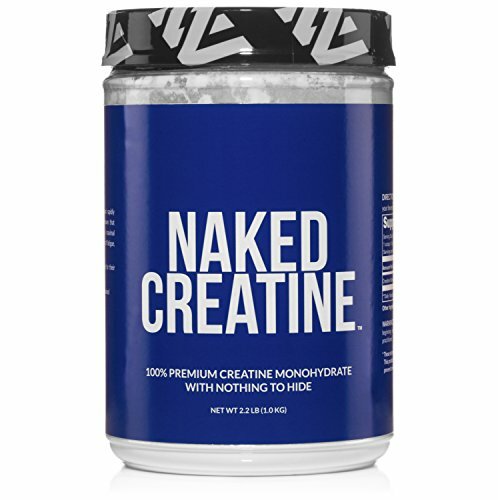 Their Naked Creatine boasts 100% creatine that has been tested for its purity. You can safely say that a single serving gives you 5 grams of creatine monohydrate and no other hidden calories. Another great thing about it is that the powder is in a micronized form so there is none of that yucky, gritty texture that feels like you swallowed a spoonful of sand along with your water. This is one of those single-ingredient supplements that will not make your head spin wondering what all the other ingredients are for. Optimum Nutrition Micronized Creatine Powder is quite simply creatine monohydrate without other additives, flavors, and colors. Using a patented procedure for manufacturing, Optimum Nutrition offers 99.9% CreaPure™, their brand of creatine monohydrate. This creatine powder is micronized to improve its solubility, reducing it to a nice, fine powder that dissolves into your shakes or drinks easily. It also has no added flavors or colors so it can be stacked quite comfortably with other supplements. One of the downsides is the tub does not come with its own scoop so you’ll have to approximate the 5 grams of creatine yourself. A whole tablespoon is the closest thing. Versatile enough to be stacked with other supplements, shakes, etc. Does not come with its own scoop. A tablespoon is the closest thing that approximates 5 grams of the powder. Does not dissolve readily in water. It is recommended to add this product to a juice or shake. There are some people who can live on juices and protein shakes. And then there are those who absolutely cannot stomach any sort of health drink. If you fall into the latter group, RARI Nutrition has a solution for your creatine needs-creatine capsules! Each capsule delivers 750 grams of creatine HCl to give you the creatine boost for your workouts without having to down a glass of gritty, insoluble creatine powder. This is also good news for those who are watching their intake and calories because a capsule has, like, zero calories that can wreck your carefully balanced diet. Unlike most creatine preparations, RARI Nutrition uses natural creatine HCl for their capsules, which are definitely more soluble compared to creatine monohydrate. This high solubility also makes it easier for the body to absorb and provide that extra phosphate molecule to complete your ATP and fuel your workouts. Like the other creatine powders featured in this review, this product contains just one ingredient-creatine monophosphate. This is because creatine monophosphate is the gold standard when it comes to creatine supplements. It is the most widely studied form of creatine and the one most proven to help you achieve your goals-whether you are looking to boost your performance or build more lean muscle. One of the problems with creatine monophosphate, though, is that it is very hard to dissolve and mixing it in your drinks often results in what feels like a glass of sandy slush. You might get a boost from the extra phosphate molecule creatine provides to replenish your ATP stores but every dose feels like torture. 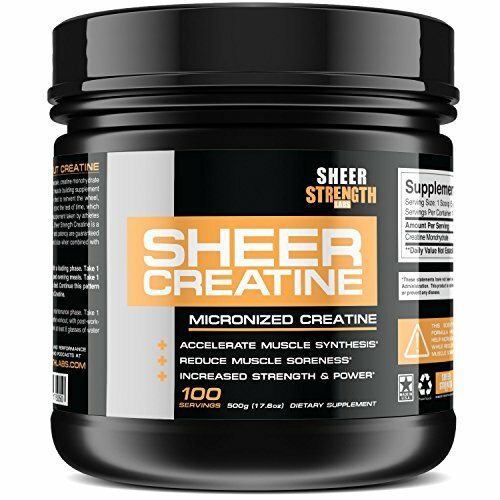 Micronized creatine powders like this one from Sheer Strength Labs takes care of that problem. These creatine supplements have been processed to a standardized fine powder that makes it easier to mix with your drinks and are less uncomfortable to swallow. 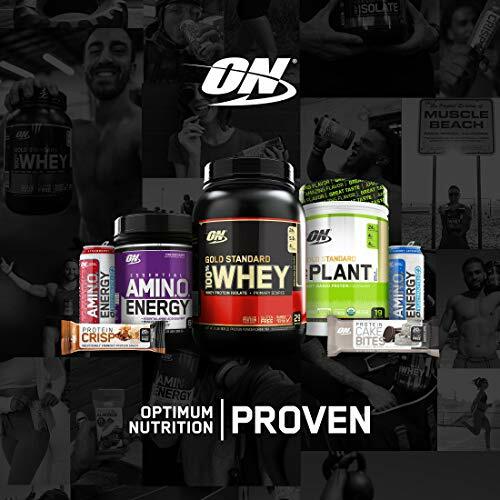 Every scoop delivers 5 grams of protein and the packaging provides directions on how to go about the loading phase and maintenance phase to help you achieve your fitness goals. The scoop provided is not exactly accurate. It is more like the equivalent of a single teaspoon instead of a tablespoon. Women usually take creatinine for two reasons-to improve performance and to lose weight. Your body uses adenosine triphosphate or ATP to fuel muscular contraction. In the process of contraction, ATP loses a phosphate molecule and becomes adenosine diphosphate or ADP. The body cannot use this ADP to fuel further contractions. Creatine allows the body to train more and at a higher intensity by contributing a phosphate molecule to ATP, the energy currency of the body. The more you are able to train, the more lean muscle you build. In turn, the lean muscle will help you burn off the excess pounds without you having to resort to starvation. Although most of the studies of the effects of creatine are geared towards men, there are studies that also show the benefits of creatine supplementation in female athletes. In 2016, a study conducted on female soccer players revealed that creatinine can improve performance in maximal-intensity exercise and endurance. Although plyometric training was shown to also improve performance and endurance, these improvements were enhanced with the supplementation of creatine. In another study on postmenopausal women, creatine, combined with supervised resistance training, was shown to slow down the rate of degradation of the femoral bone mineral density. This study also revealed that creatine supplementation in addition to resistance training increases the subperiosteal width of the femoral shaft, a predictor of bone bending strength. In the latter study, there was no note of any abnormalities in liver enzymes nor creatinine clearance after twelve months of creatine supplementation. This means that the liver and the kidneys have not been affected by the regular intake of creatine. You can’t just take creatine then sit back and wait for the results! While it is true that creatine can improve performance and help you lose weight, you have to put in some effort to make the most out of it. Studies show that the key to getting the results you want is to take creatine regularly in the recommended doses. Increase in performance and endurance, as well as improvements in bone density, are acquired after some time. This, in combination with proper exercise, can help you achieve your fitness goals. Creatine usually takes an hour before it reaches the bloodstream. From there, you have approximately an hour and a half before the body either absorbs it into the muscles or disposes of it via the kidneys. This study revealed that insulin and insulin-stimulating foods such as sweets and carbohydrate-rich foods can increase the rate at which the muscles take up creatine. Interestingly enough, meals with too many carbohydrates can slow down the absorption of creatine from the intestines to the bloodstream. In this case, it is advisable to take in creatine with meals but to go easy on the carbs so as not to mess with the absorption. Also, acidic fruit juices appear to impair creatine absorption so you might want to lay off the grapefruit and other citrus fruits. Not all creatine supplements are created equal so you must be careful in selecting what kind of creatine to take in and where you buy it. Supplements might be good for you but you must exercise a certain degree of caution because carelessly taking in just anything could prove to be a health hazard. It is even prudent to seek out a doctor or professional health care provider when you are planning to add supplements to your fitness routine. Buying creatine-or any kind of supplements, really-can become a headache real fast. There are a lot of choices available in a physical store. You go online and the numbers literally explode! Generally speaking, high-quality supplements will command a higher price. Materials of higher quality generally call for higher prices. Strict quality control measures will also cost the manufacturers more, which will add to the final price of the product. 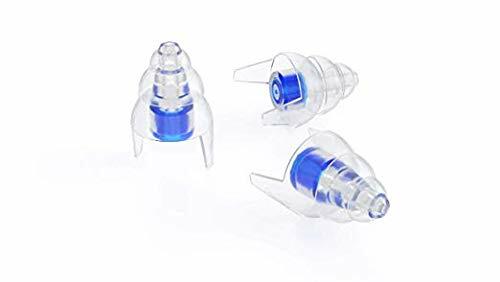 On the other hand, cheaper materials of lower quality, crummy packaging, and dubious quality control methods will not cost the company as much to manufacture the product. These products might cost less but may not help you get the results you want and might even be dangerous. Unlike medicines and other pharmaceutical products, supplements are not so tightly regulated. When buying supplements, always check the brand integrity. A trusted brand will usually command a higher price. This is because they have a reputation to uphold and are generally stricter about the quality of the products they are selling. You could even check the reviews to have an idea what other people who have tried the product have to say about it. This is the form of creatine that is the gold standard. When studies talk about creatine supplementation, they are referring to this form most of the time. This is the form of creatine that is shown to produce the beneficial results over time. Most other types of creatine are derived from creatine monohydrate and they have their own advantages and disadvantages. If you plan on taking creatine in the form of pills or capsules, then this shouldn’t be a big issue. However, if you plan on taking creatine as a drink then that’s a whole other problem, particularly when the brand you buy isn’t as soluble as you thought it was. There are several powder preparations of creatine that will not dissolve easily and can make drinking them a very unfortunate experience. A lumpy creatine drink will go down less smoothly than a more soluble preparation. Worse, it might form clumps that will stay in your mouth. Creatine monohydrate, in particular, is not very soluble. Creatine drinks and powders might also contain additional calories, which are not helpful if you are on a diet. If drinking a lumpy concoction or additional calories will be an issue, you might want to take creatine in a prepared pill or capsule form instead. Creatine supplements are a great way to boost your performance and endurance as well as build more lean muscle. These will eventually lead to you finally shaving off the last excess pounds to effectively crush those fitness goals! And it’s not all hype either. Creatine is a naturally occurring substance in your body that works by donating an extra phosphate molecule to complete your ATP, the energy currency of the body. This means that you can exercise more and for longer. Of all the forms of creatine studied—and there are a lot of studies, I tell you—it is creatine monophosphate that has been the center of attraction. It is the one that is proven to give you all the benefits of creatine supplementation such as improved performance and endurance, as well as building more lean muscle. However, one of the biggest problems of creatine monohydrate is that it tends to be rather insoluble. Meaning, you can stir it all you want until your arms are sore but the powder will remain in your drink. And you’ll have to drink that gritty mess just to boost your performance. Bulk Supplements solved this problem by giving you your creatine monophosphate fix in a micronized powder form. This means that the creatine monophosphate has been reduced to a standardized fine powder that will easily mix with your drinks. And will not form icky clumps in your mouth or throat. Bulk Supplements also assures that their product is free of dairy, soy, or gluten, which is a relief to those of us who suffer from a host of problems whenever those substances come our way! Have you tried using creatine to boost your performance? What particular brands do you like best and why? Let us know in the comments below!